Crete is the largest island of Greece and one of the most fertile areas. It is primarily characterizing by its high mountains, steep gorges, the famous archaeological sites and the traditional villages. There life is flowing by in a relaxing and friendly way. Not forgetting of course, its crystal clear blue seas and golden sandy beaches. Somewhere here lies Rethymno, known as the ”hidden jewel” of the island. 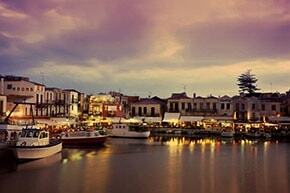 Explore and Travel in Rethymno and it will captivate you with its natural beauty. In addition to the cultural traditions and the colorful charm of the Venetian architecture will amaze you. A stroll through the old town, the impressive fortress of Fortezza, the museums, and the warm hospitality do not fail to enchant. Since 1400 BC the Minoans, Venetian, Turks and Cretans have built their ancient cities, minarets, citadels, the hilltop Fortezza, winding narrow streets, fishing harbor and lighthouse which create an old-world charm. Many events are taking place in the city during the summertime. They will introduce you to the Cretan way of life and celebration. One of the most important event is the Renaissance Festival. Aiming to preserve and promote the cultural heritage of Rethymno. In addition Cretan Diet Festival, is initiating visitors to the various local products that the island is famous for. 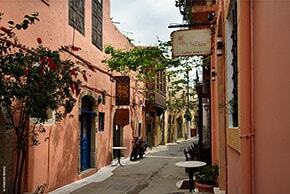 The old town of Rethymno is a preserved renaissance city that has elements from both Venetian and Ottoman rule. Inside the old city there are markets across Arkadiou street and Antistaseos. Above the town rises the fortress of Fortezza. The Venetian fortress of Fortezza is situated on the hill of Paleokastro, in the west of the present city. On this hill was the citadel of the ancient town of Rithymna and the Temple of Artemis Rokkaias. The settlement was probably close to the port. 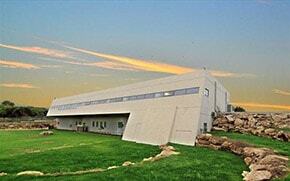 The fortress was built between 1573-1580 by the Venetians to protect the inhabitants from the Turkish threat. The Fortress continues to this day to be a point of interest for the Cretan city. 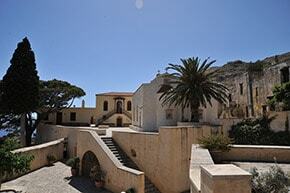 Each summer Erofili Theatre located inside the Castle, place the Renaissance Festival of Rethymno. The lighthouse of the Venetian Port of Rethymno is the second largest remaining Egyptian Lighthouse of Crete, after the lighthouse of Chania. 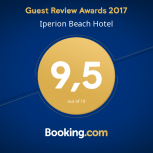 Located on the edge of the old wharf of Rethymnon and access is very easy. The lighthouse we see today was constructed by the Egyptians to the 1830s, when the Turks gave the Egyptians the island of Crete. 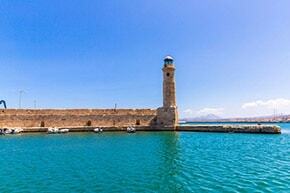 The Neratze Tzami is one of the most well preserved and impressive monuments of the old town of Rethymno. During the Venetian rule was the church of Santa Maria, the Virgin of the Augustinians, and next to it the chapel dedicated to the Body of Christ. With the city's conquest by the Turks, the church was converted into a mosque dedicated to the conqueror of Gazi Hussein Pasha Mosque Rethymnon or Neratze (1657). During the Turkish occupation it was the roof of the Venetian church that has been replaced by three characteristic domes, the chapel was converted to Ottoman seminary as well as the minaret added. 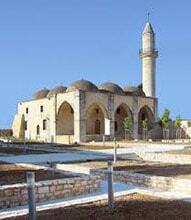 Specifically, in 1890 the minaret was built to plans of the famous engineer George Daskalakis. Today the former mosque operates the city Conservatory and the restoration brought to light dozens Venetian graves on the floor. As for the door frame, it is one of the most impressive and elaborate examples of Renaissance architecture in Rethymno. The Venetian port of Rethymnon, next to the modern port, is one of the most picturesque parts of the old city with the Egyptian lighthouse trademark. There was already from the Byzantine period (after 961), but prospered during the Venetian period. The issue of water supply to the city of Rethymno was a difficult part and this is why the Venetians commanders cared to build aqueducts and fountains to serve the citizens. 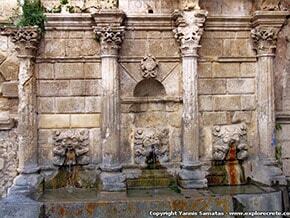 Rimondi fountain, built in 1626 by the Rector of the city A. Rimondi. This project covered part of the city water supply needs located today in Platanos Square, formerly the center of Venetian city. It consists of three basins in which water runs from three spouts into a lion's head shape. The exhibits come from various excavations in the area and represent all periods, from the Neolithic Age to the Roman period. Among the most important exhibits is the urn with hunting scene display, figurine Minoan goddess, the marble statue of Aphrodite, the violin-shaped marble figurine from the cave of Gerani, a clay semi-enclosed vessel with stem and cap, head terracotta female figurine and other remarkable findings. 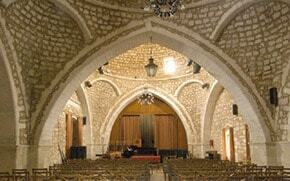 Established in 1974 and housed in a Venetian building of 17th century. 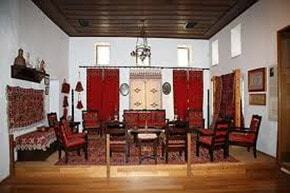 It is a wonderful urban dwelling sample of the last phase of Venetian rule in Crete in Renaissance style. The museum's collections include more than 5,000 articles divided into sections, weaving, embroidery,ceramics, basketry, traditional crops, metalwork and traditional occupations. It also has a rich historical collection in which there are personal belongings of Eleftherios Venizelos, the Cretan revolution banners, weapons, coins, stamps and other historical documents mainly from the period of the Cretan state (1898-1913). It is an architectural masterpiece as it consists of nine domes and 13 cells and no visitor is left unmoved at the sight of its surroundings. As a first impression, the exterior of the museum, the visitor has the unique opportunity to come into contact with plants that thrive in Crete. Then and inside the Museum the paleontological collection of Rethymno Municipality allotted to the museum takes the visitor through time as it presents an important part of the evolution of Crete and the geological and paleontological changes sustained over time 300 million years. The monastery has a uniqueness that lies in the natural beauty of the landscape and is full of dryads, oaks, pines and vines. Built in 1587 with a variety of influences in the architecture of the first Renaissance period Gothic and classic rhythm and early baroque. Initially, gained fame mainly as a learning center and copying Greek manuscripts but also for the famous embroidered vestments. Later written in history for the heroism shown in the 'Holocaust of 1866' holding strong resistance to Turkish slavery. The view from the monastery is magical. There is a temple carved with images of art masterpieces of iconography you can admire the detailed depiction of biblical images that have survived since 1750. 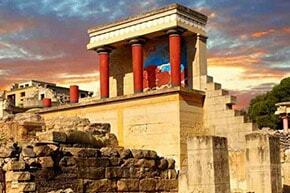 The palace of Knossos is built in Kefalas hill, 5 km outside Heraklion .In the tradition was the seat of King Minos and operated from the Neolithic period until the 5th century. Interesting are the myths of the Labyrinth with the Minotaur and Daedalus and Icarus associated with the palace of Knossos. Eleftherna were ancient city of Crete. 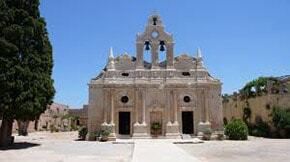 It was located in today's Rethymno Prefecture, 25 km south of Rethymnon, some 12 km northeast of Arkadi Monastery. The city was founded by the Dorians in the 9th century BC at the intersection of roads that connected cities Cydonia, Knossos and the sacred Mount Ida. In Orthi Stone has come to light necropolis of the geometric and archaic. In 2010 announced the discovery of the double tomb aged area 2,700 years, hid more than 3,000 gold leaves and the first display of the bee as a goddess. 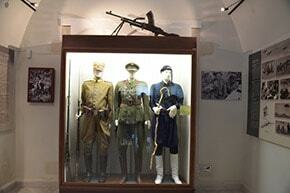 The collection of the Military Museum of Rethymno is located in Chromonastiri and includes military uniforms, weapons of various eras, decorations, historical relics from 1821 onwards, report on the Macedonian Struggle, a library and meeting rooms. Housed in one of the most beautiful Venetian mansions of Crete, the Villa Clodio. The villa was the summer residence of the princes of Rethymno, while in the Ottoman reign was the house of an Ottoman Agha.